This t-shirt is a simple, breathable function shirt. 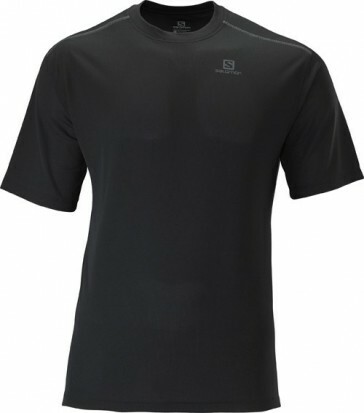 It contains a small Salomon logo on the left chest. It is perfect for active recreational experiences. The Solomon T-shirt has a round neck and a casual fit. In addition, a material was used that wicks moisture away from the body and dries quickly.